If you’ve ever watched a motorcycle race, regardless of discipline, then you’ll have noticed the broad range in rider sizes. And that’s one of the great things about motorcycling — short or tall, it’s accessible to everyone. But there are bikes that are better than others for smaller riders, particularly if you happen to be new to biking and aren’t super-confident, especially at low speeds and whilst negotiating traffic where a steadying foot on the tarmac can make all the difference. The good news is that while commuter bikes or small-capacity entry-level machines are ideal for smaller riders, you’re not limited to them — there’s a vast choice out there and four of the major manufacturers design and build their bikes in Japan where the average male height is 5’ 7” — a good two inches shorter than the average British bloke. The obvious starting point when checking the tech specs is the seat height but don’t let this be the limiting factor — for example, single- and twin-cylinder bikes are often much narrower than four-cylinder machines so for a given seat height they can feel very different as the legs aren’t splayed so much. Modifications to make bikes better suited to shorter riders range from logical to dangerous. We’ve seen some smart alterations such as having the seat pad remade with less foam and we’ve even seen subframes dropped down slightly with lowering plates to make that dream sportsbike a reality. The smaller sibling of the cult classic TL1000, the SV has long since gained an admiring following of its own — and with good cause. The V-twin motor is flexible enough to be tamed by novice riders or tormented by the more experienced while the handling is so good it spawned a whole genre of racing when it kickstarted the Minitwins class at the start of the century. Available as a faired (S) or naked machine, there’s an SV for everyone, with good early models as cheap as a few hundred quid up to the later, more angular model. 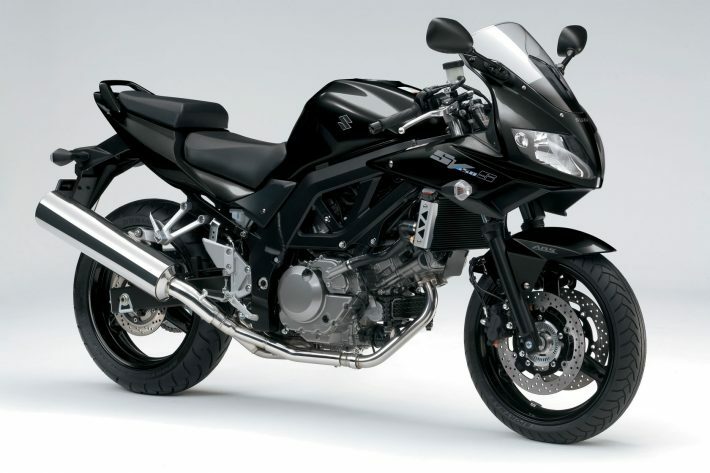 Suzuki stopped making the SV and launched the Gladius in 2009. 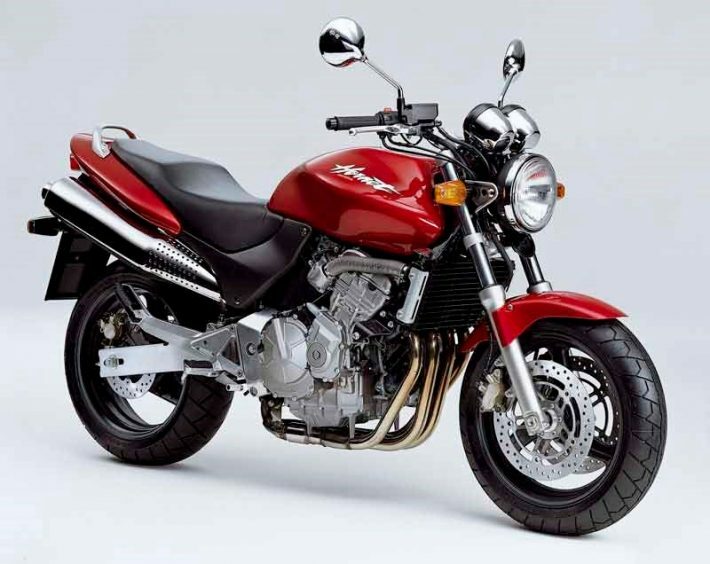 The Gladius went far better than it looked but didn’t prove as popular as the SV prompting Suzuki to bring back the SV last year. So, if you’re after a new or used street bike or sportster, with its low and narrow seat, the SV is a top choice for the shorter rider. If custom bikes and cruisers are more your thing, then there’s no brand with more gravitas than Harley-Davidson. Harley’s Sportster has been around since the late Fifties and is widely accepted as the entry point to the Harley-Davidson range, both in terms of price and ease of use for new riders. 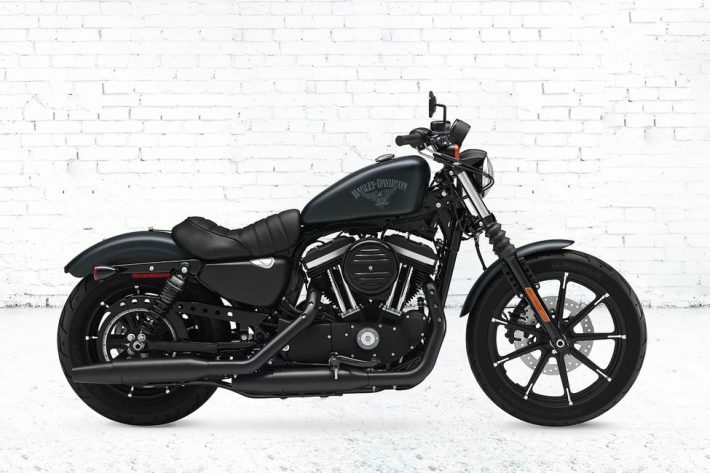 The Iron 883 is one of the more recent Sportsters and we think the Black Denim version is one of the coolest to date with its stealthy matt black looks and detailing. The engine is soft and tractable with that trademark Harley exhaust note. The riding position is more conventional than many cruisers, with ‘mid controls’ rather than ‘forward controls’ so your feet are more in line with your knees rather than stretched out in front, making it far more manageable for shorter guys and girls. 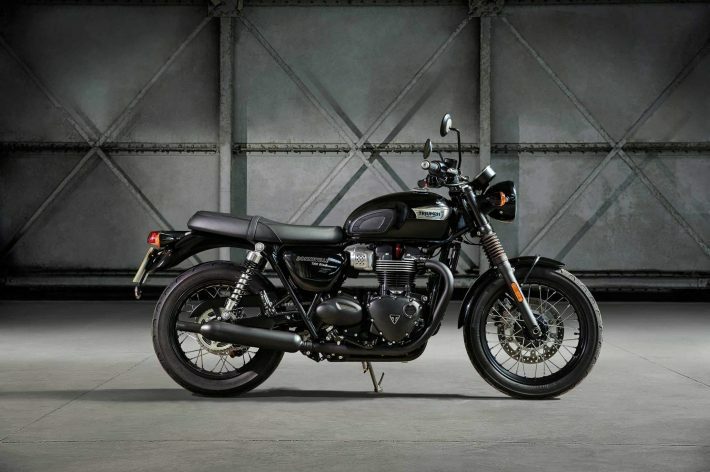 The T100 is the entry point into one of the most iconic names in motorcycling — the legendary Bonneville. And with a seat height of 790mm, it’s ideal for shorter riders. The Hornet may have subtly changed over the years but it has lost none of the character that made it so popular with a wide range of riders — or the sub-800mm seat height that made it a favourite among smaller riders. A retuned CBR600 engine and class-leading ergonomics and handling make the Hornet as much fun on the track as it is as picking its way through the traffic. Build quality is as good as it gets and there’s ample performance from the super-reliable four-cylinder motor that has been developed and refined over many years. The Hornet name is no more but the buzz lives on with the CB650F taking its place in Honda’s latest line-up — albeit with a slightly taller seat height of 810mm. 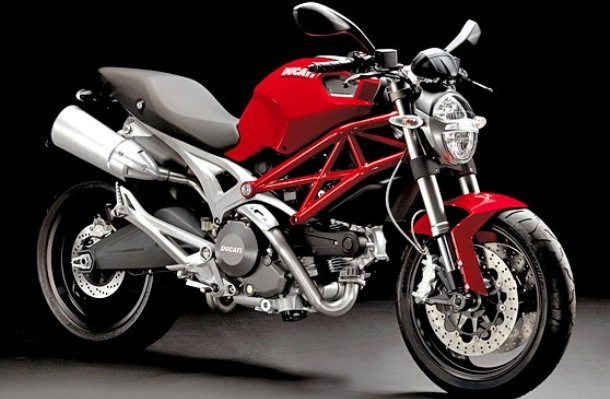 Like the Suzuki, the Ducati is a V-twin. It also has a sub-800mm seat height and a narrow waistline making it perfect for those a little short of limb. Engine sizes vary from the older air-cooled 600cc and 900cc machines right up to the latest contemporary Monsters that benefit from technology filtered down from the Bologna-based brand’s exotic sports bikes. The range is quite baffling but engine sizes vary from 696 all the way up to 1200cc meaning there’s something to suit most riders. Early models didn’t weather particularly well and can be hard work around town with lumpy fuelling at low speeds along with heavy clutches. Later models are much better all-rounders and are easier to ride, so if you’re able to stretch the budget to a more recent model, you’ll be well rewarded. 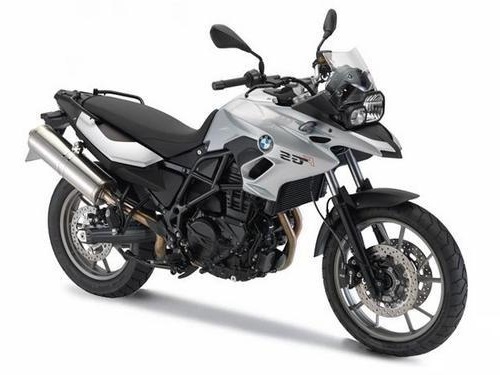 If you fancy an adventure motorbike then the BMW G650 GS has a standard seat height of 800mm, but the low suspension option means you can get the seat height down to around 770mm above the ground. It is a single cylinder motorbike which means it has good fuel consumption, but also suggests it’s a motorbike that cannot be ridden at high speeds. 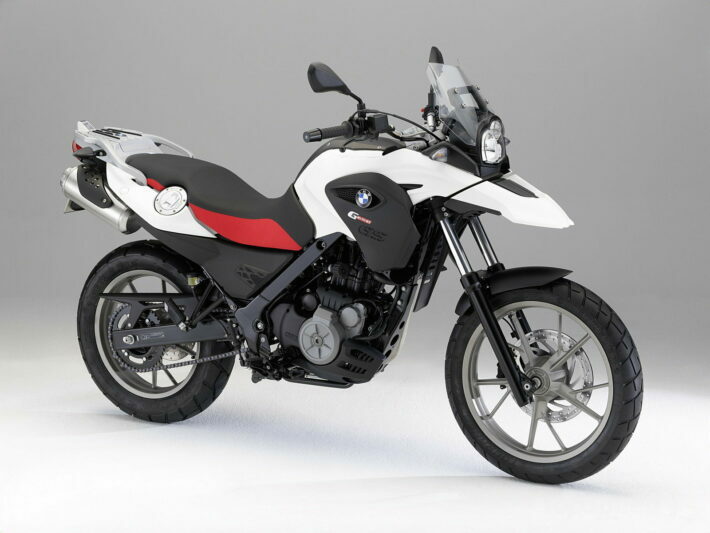 This BMW is an alternative motorbike for the Honda NC750X. The BMW has a 800cc twin-cylinder engine and the seat could be lowered to 765mm. There’s still plenty of power, style and comfort in this BMW F700 GS so you won’t feel like you’re missing out! The Vulcan resembles a cruiser – but is not a real cruiser. This motorbike has a 705mm seat height and weighs 225kg so it slightly heavier than some of the other recommended motorbikes. 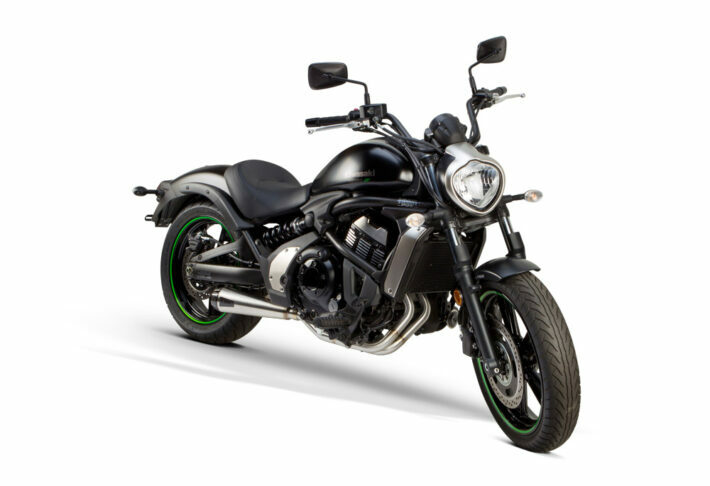 This Kawasaki model has a street-bike air about it which is consistent with its road handling – but can be annoying to the riders who want the cruiser feel. 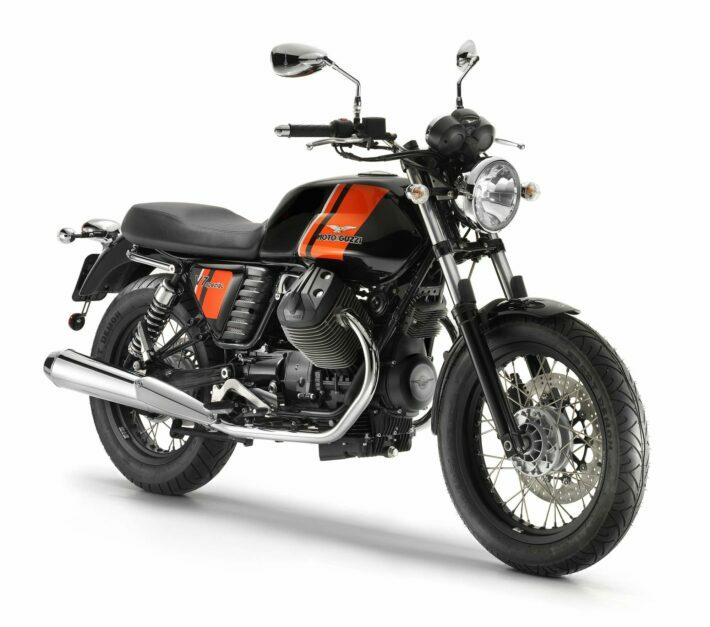 Moto Guzzi’s V7 Stone is a very light bike with a 22 litre fuel tank and a 780mm seat height, making it an easy bike for shorter riders to handle. Other bikes in the classic collection that are in competition with the Guzzi are the Triumph Bonneville and the Kawasaki W800, and neither of these should be overlooked. The best way to decide if the motorbike you choose is right for you is to try it on for size and ride it. Safety and comfort depends on the rider so the motorbike has to fit you correctly to enable you to gain the best experience in your riding career. Shorter riders need to accept that more often than not, your heels won’t ever touch the ground fully when you are sat on your motorbike. Using the rest of your feet for support (without heels) is usually sufficient enough. Being able to steady your motorbike without being flat-footed will get easier for you as you gain confidence in yourself and in your motorbike. When parking, get off your motorbike and push it into the parking space. Although this doesn’t look as good as the riders that can paddle their motorbike into a space, it’s definitely better than trying to reach the floor fully – and accidently slipping and falling off! In windy conditions and when stopping, turn your motorbike to the left, as this will lean your motorbike enabling you to get your foot closer and more firmly on the ground. When braking, use your brakes gradually to slow down, as well as your down gear, to try and avoid stopping completely. Look ahead and plan your stopping distance in plenty of time. Generally look out for anything that can cause your foot to slip, for example, white lines, gravel, mud, water and any debris. Also remember that it is not against the law to stop next to a kerb so you can put your foot on it for support. And last but by no means least; make sure you have adequate motorbike insurance to ensure peace of mind for yourself, as well as your bike.